These evocative stories bring to life the tragic personal impact of the Cultural Revolution on the families of China's intellectuals. Now adults, survivors recall their childhood during the tumultuous years between 1965 and 1976, when Mao's death finally drew a curtain on a bitterly failed social and political experiment.A series of first-person narratives eloquently describes the life-long influence of this seminal period on China's children. Those who were teenagers in the late 1960s joined the Red Guards and the revolutionary rebel groups, following Mao's directives to make revolution, often to their own undoing. Those who were too young to participate directly were even more vulnerable. Although they had little understanding of the political firestorm that engulfed their parents, they were old enough to understand and feel the terror it brought. Vividly capturing the emotional intensity of the time, these stories explore what it was like to be caught up in revolutionary fervor, to be sent to the countryside, to be separated,either ideologically or physically,from one's parents, often forever.By undermining families and family structure, the Cultural Revolution created a generation of Chinese who view politics, the Communist Party, and life itself with deep cynicism. 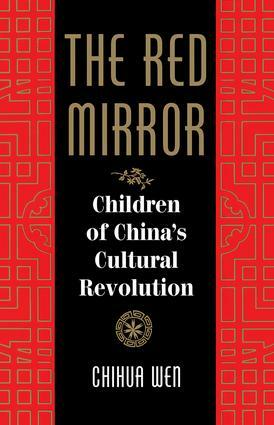 Presenting a spectrum of individual stories of people who saw the Cultural Revolution through the eyes of a child, The Red Mirror offers rare insights for understanding the crippling legacy of the Cultural Revolution.